Determining what replacement grate you need can be a challenging prospect because trench drain manufacturers create grates to fit their own systems. 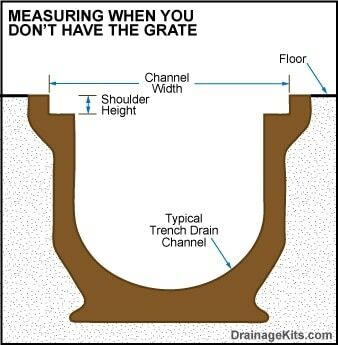 If you’re still unsure that the grate is correct take several photos of your drain and existing grates and email them to us at sales@drainagekits.com. Our experienced staff will help determine what system you have installed.